The fourth edition of Dungeons & Dragons is there and changed a lot of things. Now you need a map and miniatures so a few space remains on the table. Use Cosmic Dice Roller, choose your Dice Pool and SHAKE your iPhone or iPod Touch and listen to the sound of your throw. 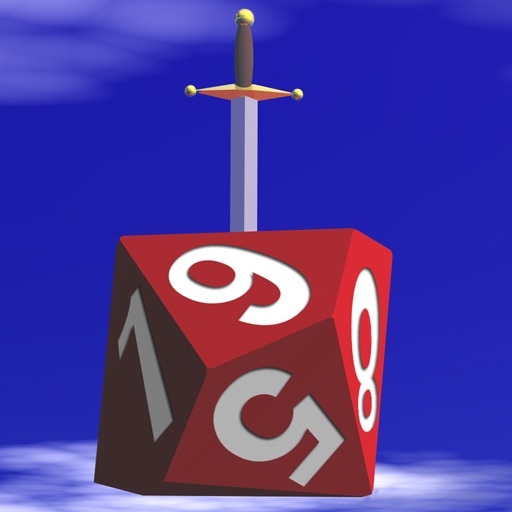 D&D 4 is only one example but you can use cosmic Dice Roller for all games that need dices. No dice on the floor throw from 1 to 50 dice of d4, d6, d8, d10, d12, d20, d30 and d100. Someone wrote me telling there is a mistake: as you can see in the screenshot on the bottom left there is the word "dices". I'll fix it with the new version but in this version when you shake your device the word changes in your last roll (like 3d8).